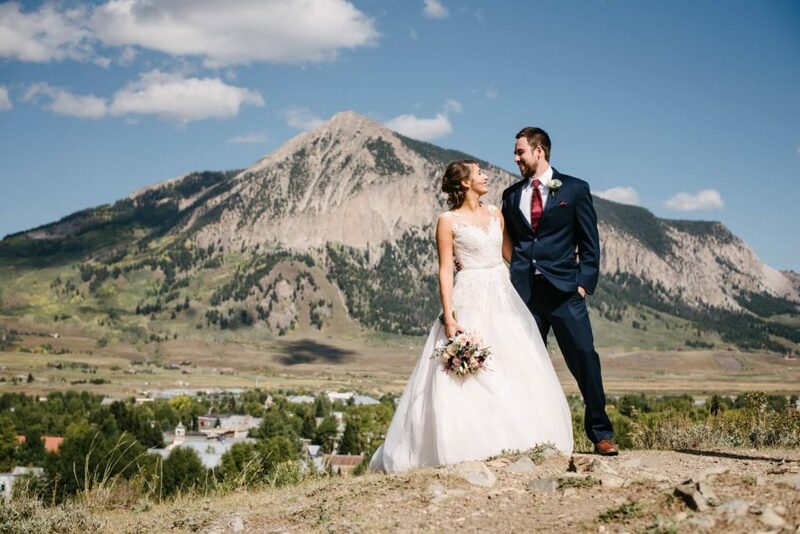 Olivia + Justin chose the picturesque ski town of Crested Butte, Colorado to serve as the backdrop for their September wedding. With the stunning scenery perfectly complementing the nature-inspired decor, all eyes were on the bride and groom. 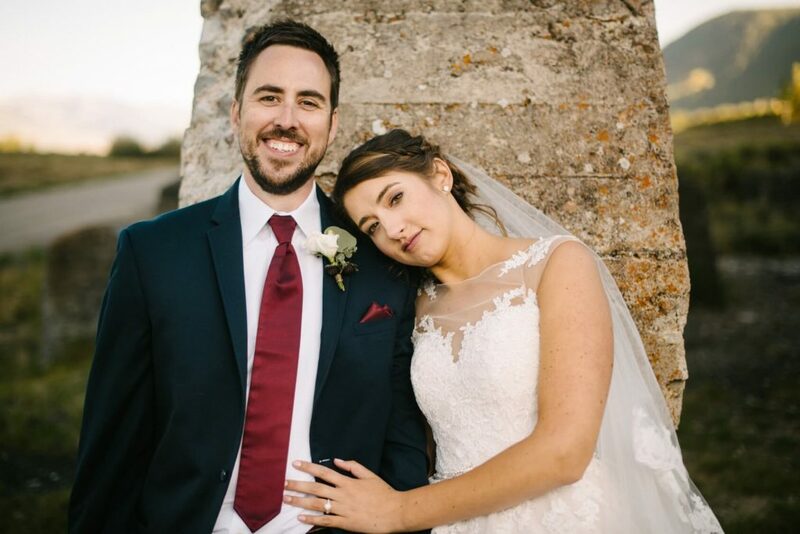 Olivia opted for a flowing lace gown, while Justin wore a Michael Kors Navy Sterling Wedding Suit with a wine tie and pocket square. 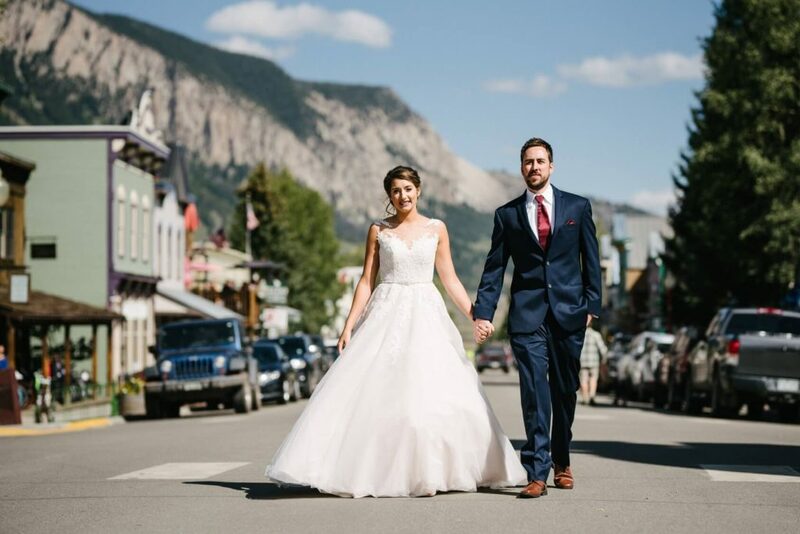 Since the couple opted to not have a wedding party, the contemporary style and fit of the Navy Sterling Wedding suit by Michael Kors was the perfect choice for the groom to stand out from guests. 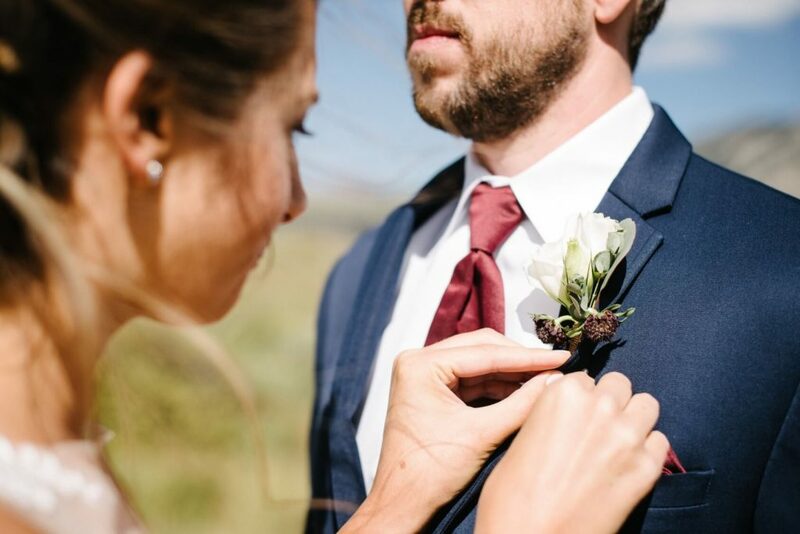 The navy suit easily coordinated with Olivia + Justin’s natural bouquet, boutonniere, and decor. The lightweight wool fabric of the suit was the perfect choice for the crisp early-fall mountain air. 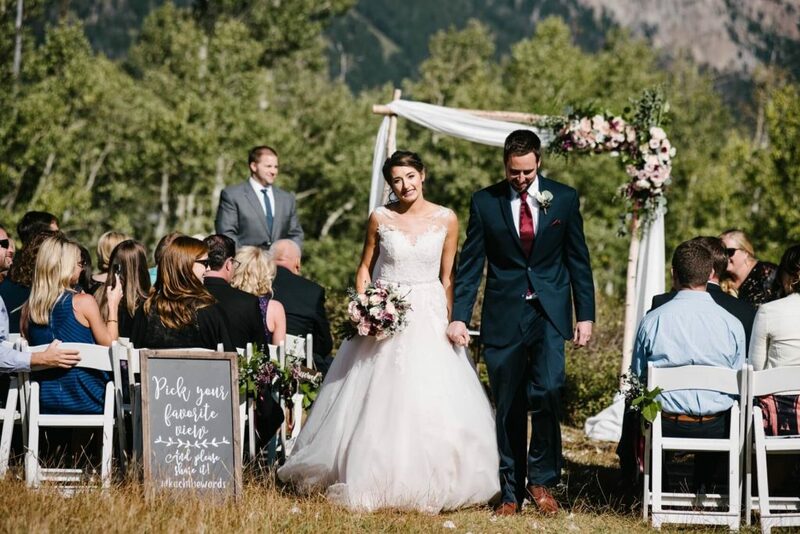 If you’re dreaming of a mountain wedding, Olivia + Justin’s gorgeous event should be the wedding inspiration you need. Thank you to the happy couple for sharing your day with us! All photos by Ryan Dearth.